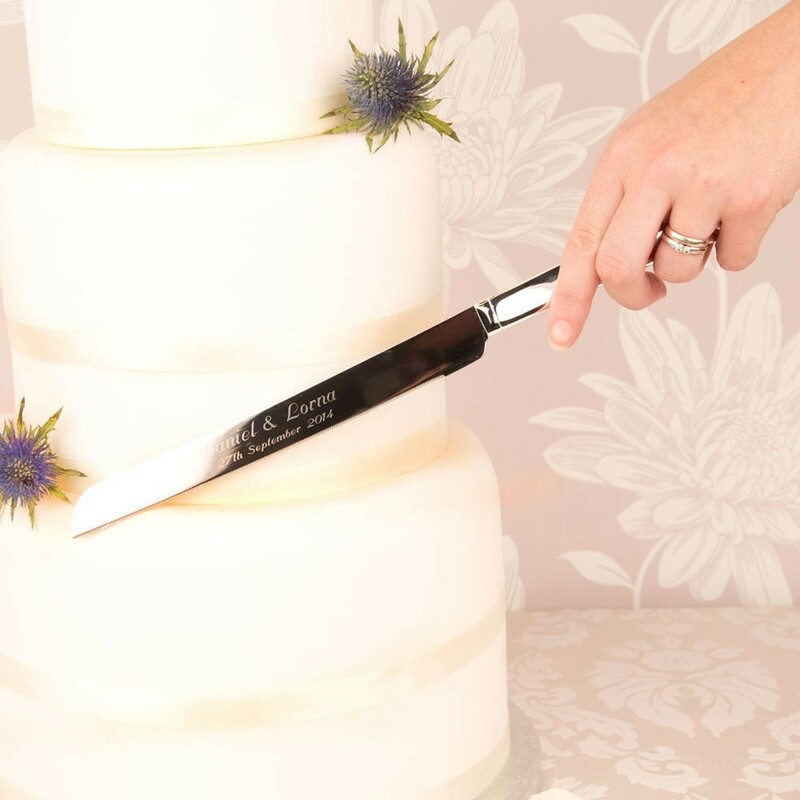 This elegant silver plated cake knife is the perfect way for the happy couple to proudly cut the cake on their special day. 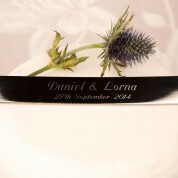 The engraved knife is personalised with the bride and groom's name as well as the wedding date, making it personal and unique to the couple. Not only is it a great way to get stuck into the cake, it is something that can be kept as a wonderful reminder of the day. It also makes a great engagement or anniversary gift. The beautiful slender knife is made from quality stainless steel and features a decorative romantic heart design and crystal detailing at the end of the handle. The knife is presented in a satin lined gift box. Gift Box measurement: approx 14.25inch x 2.25inch x 2inch. Lovely personalisation and arrived very promptly. Looking forward to use it on our wedding day. Thanks very much!